Capital Manor Financial Advisors Limited is a financial advice company and we conduct investment, pension, protection, insurance, will writing and estate planning business throughout Bedfordshire, Hertfordshire, and Buckinghamshire. Our Caddington office is located near to Luton and is easily accessible from London and across the South East. Martin Pitkeathly and Paul Gregory, the two directors, understand their clients' goals and objectives and are totally committed to fulfilling their part in structuring life plans that give financial peace of mind. Martin and Paul are proud that their knowledge and integrity has led to the growth of Capital Manor Financial Advisors Limited, aspirating to recognize the importance of providing long-term on-going assistance and guidance. We assist our clients with preserving, protecting and growing their wealth so it can be enjoyed and eventually passed on to future generations. Our highly qualified advisers deliver the best possible financial advice. We follow a clear investment philosophy and strategy with a view to long term investment success. We offer fee or commission based advice, for both individuals and business. Our aim is to achieve the best possible client service. 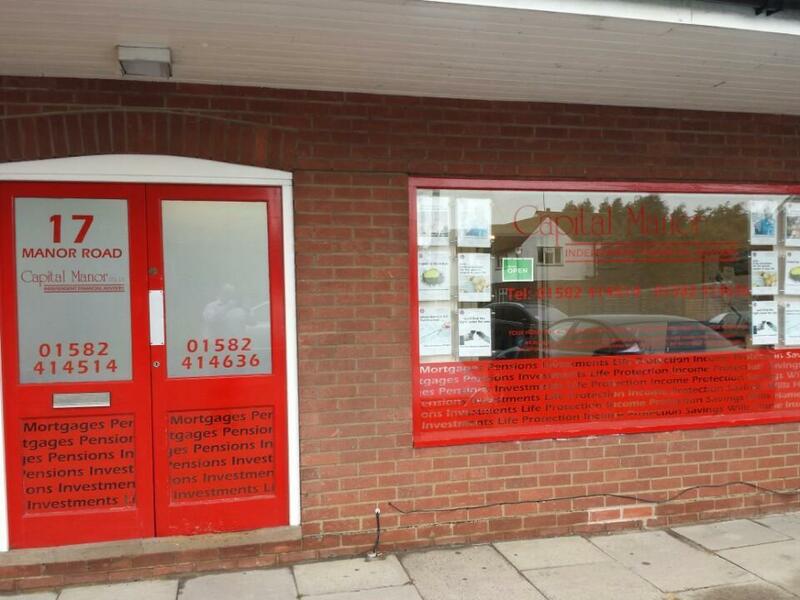 We are a local business consisting of a one Financial Adviser, one Mortgage Adviser and one Estate Planner. Our dedicated and friendly team are always here to help and listen. Capital Manor Financial Advisors Limited 17 Manor Road, Caddington, Luton, Bedfordshire LU1 4EE. Registered in England & Wales No: 4692802 Registered Address: Grove House, 1 Grove Place, Bedford MK40 3JJ. Capital Manor Financial Advisors Ltd is an appointed representative of CAERUS Financial Limited, Building 120, Windmill Hill Business Park, Swindon, SN5 6NX, which is authorised and regulated by the Financial Conduct Authority. To see more information on other services we provide please visit out website. Capital Manor Financial Advisors Ltd offers you an initial meeting to understand in broad terms, your needs and objectives and to agree with you that our services are right for you going forward. This meeting usually lasts for around one hour, the cost of which is met by our firm. Thereafter we charge for our advice by way of a fee or agree an amount to be deducted from your investment premium(s) prior to its investment. Please note that if you have paid for our advice by way of a cheque, and you subsequently cancel the policy within the statutory cooling off period, we will not refund the fee received.